Project Seeds: Electricity Generating Flooring? What if your footsteps could generate electricity as you walked through the train station or whilst you shopped? 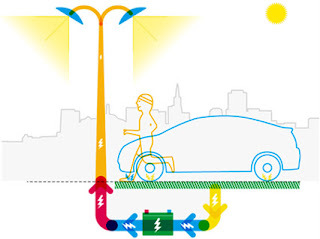 Imagine if every time you drove around the city, the vibrations of the cars travelling also generated electricity? Well, this and more is becoming a reality. A company in the US have created electricity generating flooring which uses technology called, 'Piezoelectricity'.